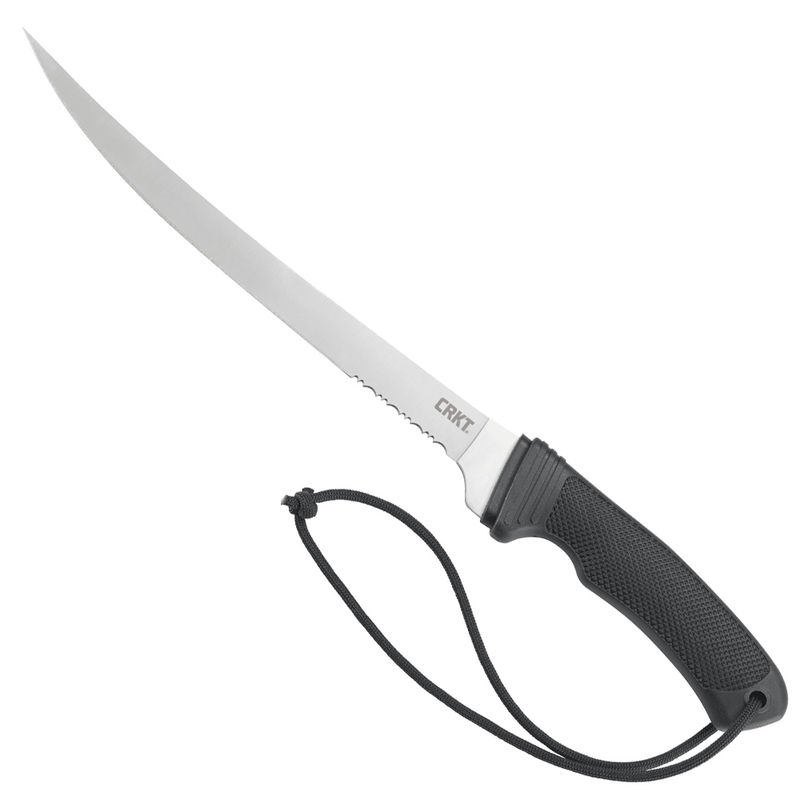 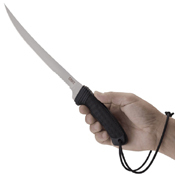 Filleting will never feel the same after you’ve used the CRKT Big Eddy II. 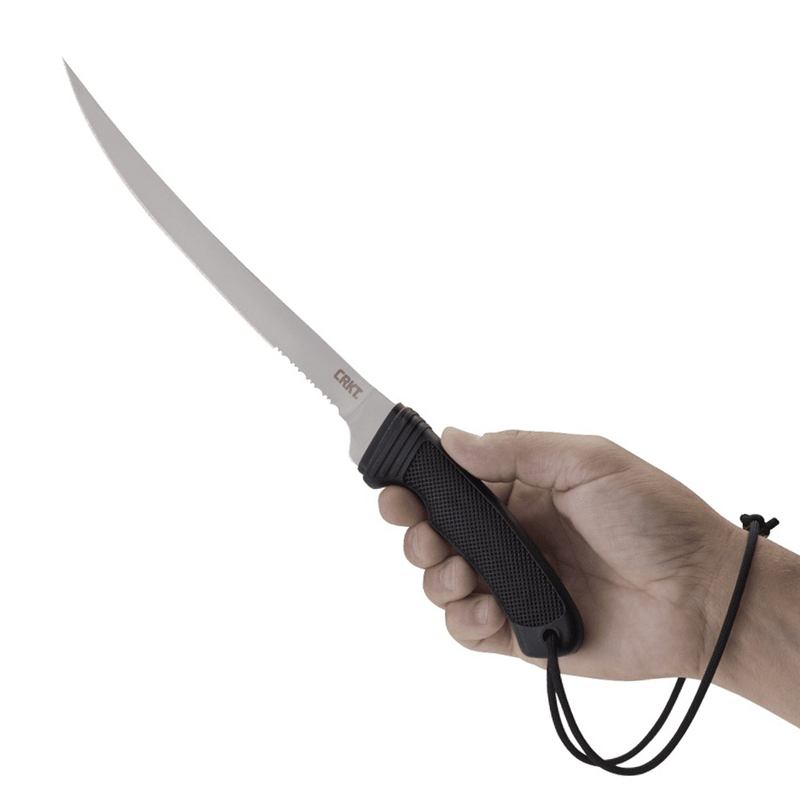 Most fillet knives rely on a symmetrical blade grind, but this Russ Kommer creation sports a Dual GrindTM. 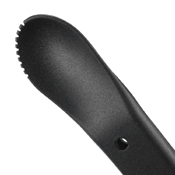 The top (right) side has a high hollow grind while the bottom (left) side is flat. 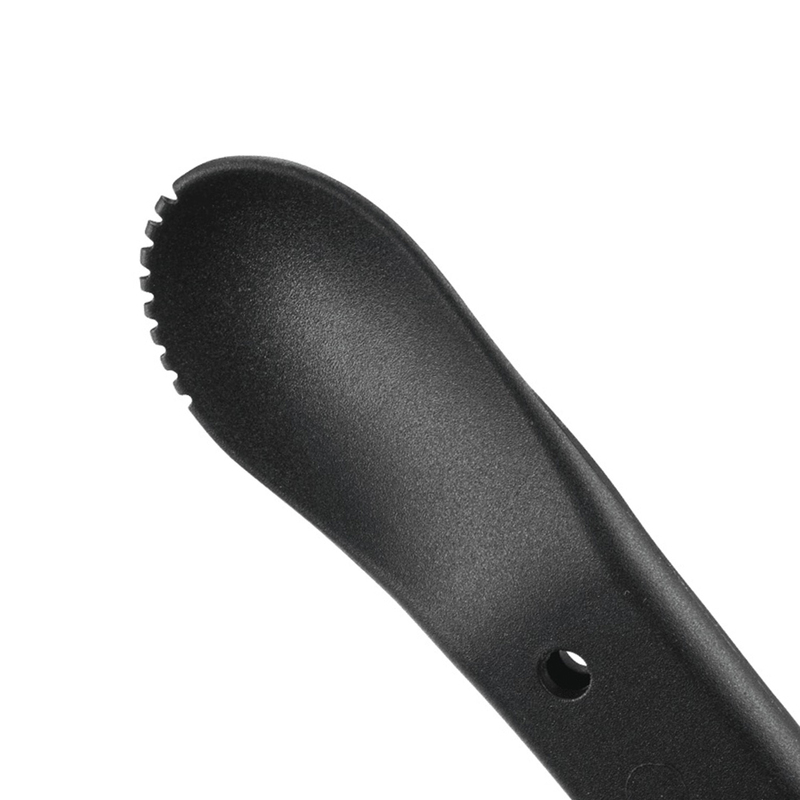 The hollow grind creates an air pocket to “lift” the fillet, while the flat side glides against the skin without digging in. 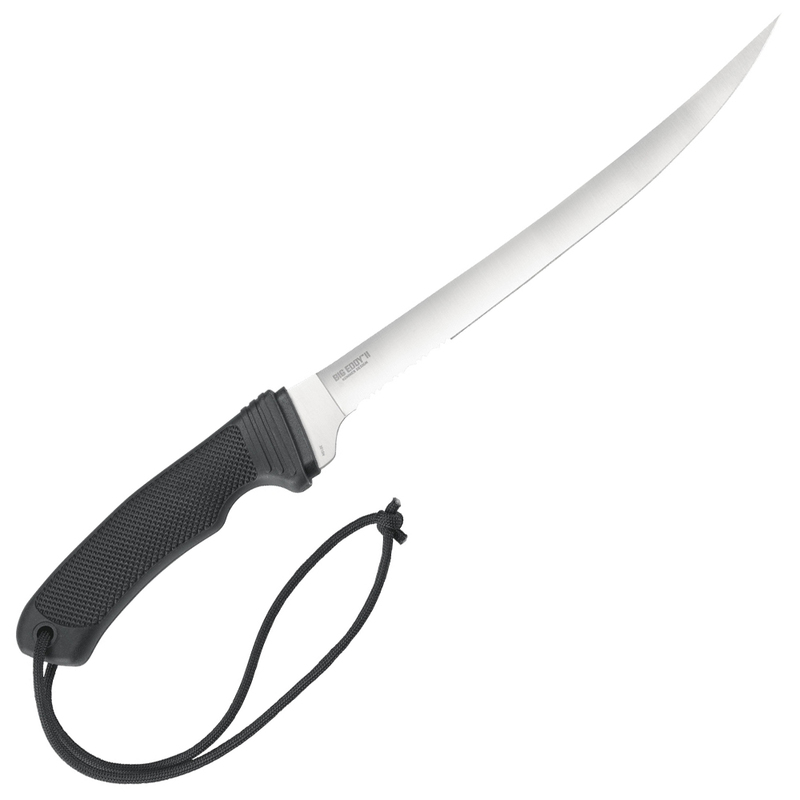 The satin-finished blade also features Triple PointTM serrations that easily saw through fish bones and gristle. 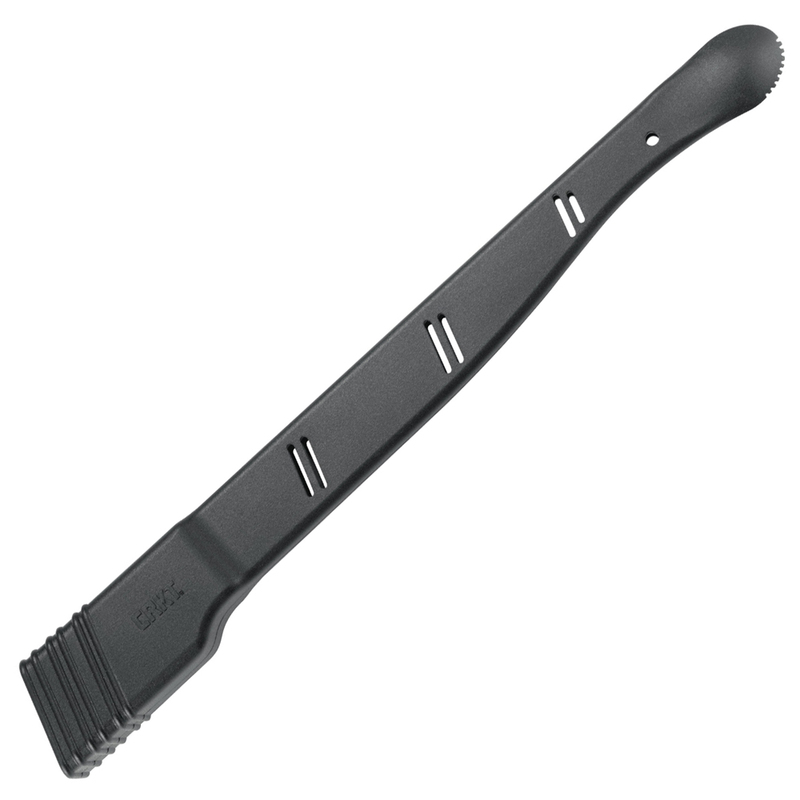 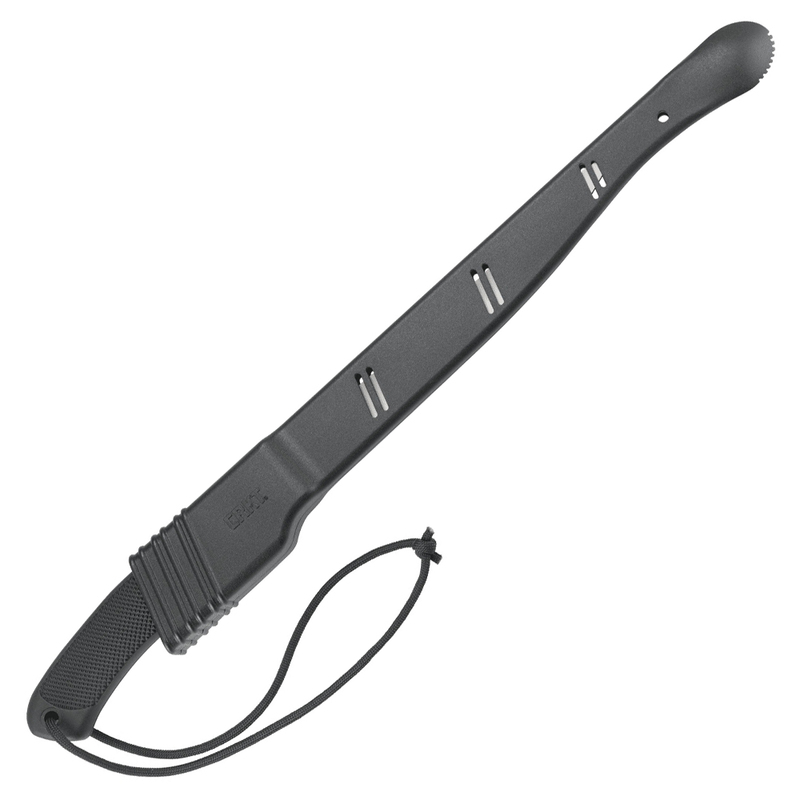 A black polypropylene sheath with a scoop is included. 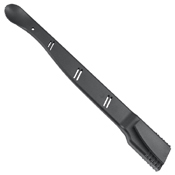 Available in 6.75 inch and 9 inch length.